Being a digital medium, the web design industry is always subject to more and more shifts and changes in technology than the conventional print industry. 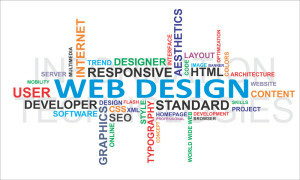 Something that is really surprising is the way in which the professional and expert web designers continuously copes with the changing technical challenges and how they still are capable of creating websites which are clear, user-friendly, innovative , consistent, adaptable and stylish with regards to all perceived devices. As we know 2017 saw too many advancements including mobile usage finally taking over browsing on desktops. This clearly means that 2018 will definitely have a full mobile functionality in ways that we have never ever seen before. Keeping that in mind, let’s take a quick look at the eye-popping web design trends that we’re going to see in 2018. We can’t deny the fact that Google is the main driver at the back of all web trends and hence there is simply no doubt about the fact that the ultimate driving factor behind deciding whether or not the interstitials and pop-ups should be dropped or not. Google announced that it is going to begin penalizing websites which utilize the annoying tactics in the search results for blocking majority of the page’s content until you click the X button. So, in 2018 we will see less of pop-ups and interstitials as websites will become worried that this would take a hit on SEO. While designing with the help of a grid underlay is never going to move off anywhere soon, there is increased experimentation to include grid layouts will keep continuing in 2018. Broken grids and unconventional grids will become a design that is aesthetic since designers continue to test different designing boundaries and find out ways of presenting unique and timeless content. With the flat design came a desire of going flat and they came in such a manner that they could remove typefaces and serifs. In 2018, flat design is going to see its end and we are beginning to find typefaces getting back the personalities with serifs receiving its lost characters. The serif will add personality to the modern and clean design layout. Serifs are a good way of adding personality and creating a timeless look. Thanks to CSS3 or jQuery, animations in websites blossomed. Until late, designers have gone to take extra steps to animate everything that comes in their grasp. Experts predict that in 2018, animations and interactions will be used with increased intention and restraint and this clearly means that this adds to the experience without distracting the website user. As you scroll down the website, there are different images which should appear along with the changes in the text. Rounded corners might not have ever died or there are too many designers who are trying really hard to bring back this trend. Experts predict that rounded corners will increasingly appear in more and more websites now that the flat design has reached its height level. They are actually trying to bring back few design elements which they ditched during the era of flat design. Therefore, if you’re someone who is not being able to decide on the different web design trends that are going to shape the market in 2018, you should take into account the above mentioned trends. Incorporate them while designing a website.